The Humanity of Jesus: Why Does It Matter? Why emphasize the humanity of Jesus? What’s the point in focusing on this one narrow aspect of the nature of Jesus Christ for the next several weeks? It is certainly not out of a desire to diminish the importance of Jesus’ divinity. But because Evangelicals are so prone to overlook this vital aspect of Jesus’s nature, it behooves us to pause and consider the importance and implications of Jesus’s humanity. Studying the humanity of Jesus has profound implications for our lives. Most Evangelicals have a great appreciation for and respect for the divinity of Jesus. We are careful to guard against any conception of the nature of Christ or of the Trinity that would undermine the divinity of Jesus. We gladly and intentionally worship Jesus as God. In our apologetic defenses we argue from Scripture for the full divinity of Jesus, regularly articulating it so as to remind others that he was, is, and always has been God. But we do not usually put the same emphasis on the humanity of Jesus. Of course we know that Jesus is human. We gladly acknowledge that and refer to Jesus as the God-Man. And yet even here our emphasis is still on the fact that Jesus is GOD-man. Bruce Ware, professor of Christian Theology at The Southern Baptist Theological Seminary, sees this as a real deficiency in contemporary Evangelical theology. I have drawn heavily from his insightful and brief book on the humanity of Jesus for this series. 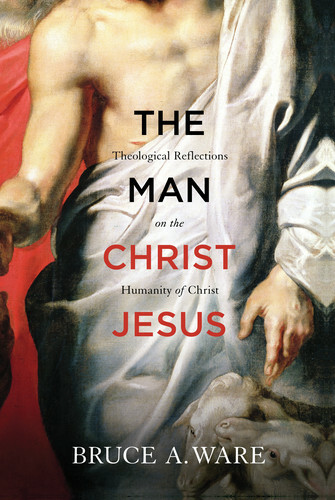 In The Man Christ Jesus, Ware alludes to the fact that he is writing precisely because Evangelicals “understand better Christ’s deity than they do his humanity” (13). We need this reminder if we are to be Biblically faithful to the self-revealed testimony of our God; Jesus is the God-Man. Both are necessary for our understanding him and our relating to him. Over the next several weeks we will consider the implications of Jesus’s humanity for our redemption, sanctification, and our glorification. His humanity tells us many things about who He was and how we lived on this earth, and even how he now continues to exist, but it also tells us much about how we are to fight sin, pray, relate to the Holy Spirit, and ultimately what we will be like in eternity. There is much practical theology to draw from the doctrine of the humanity of Christ. If we overlook it we do not simply do our theology a disservice (as if such neglect would cause us to miss a few neat ideas), rather we actually damage our theology. To neglect the doctrine of Christ’s humanity is to fundamentally misunderstand Jesus, and to misunderstand our own Christian life. If Jesus is repeatedly our example we must wrestle with how the very Son of God can possibly serve that role. After all, we are not divine, so in what way can Jesus be said to be a good example for human beings? To answer such a question requires us to consider the humanity of Jesus. To neglect such a question is to fundamentally misunderstand him and our own sanctification. We are right to celebrate the divinity of Jesus. He is God and his divinity is crucial to understanding who he is and how we must relate to him. But we must never study one aspect of God to the exclusion of others. Such a practice distorts our understanding of God. Jesus is the God-Man, and both aspects of his nature are worth our study.